At Honda Hatfield we believe in customer convenience and service, thus shopping centre displays are all for your convenience. 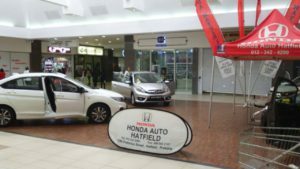 We had another very successful display from the 06th to the 12th of June 2017 at Wonderpark Shopping Centre; customers were able to view some of our latest vehicles and talk to one of our friendly and well experienced sales executives. On display we had 4 vehicles, the Brio Sedan ( The Brio’s name was derived from the Italian word for “verve”, “vigour”, “cheerfulness” and “energy”. ), Honda Ballade ( vehicle stability assist and many more storage and safety features. With provocative and sporty styling, it’s not hard to believe the Trend is setting class leading standards in space and comfort.) , Honda BR-V (the new BR-V features bold, distinctive styling and a sporty, agile appearance, linked to the raised stance and rugged appeal expected of a SUV) and Honda Jazz (Combining a striking new exterior design with a more compact footprint, offering more interior space, enhanced interior appointments and greater overall efficiency, this third-generation Jazz represents a significant step up from its highly successful, and hugely popular, predecessor. 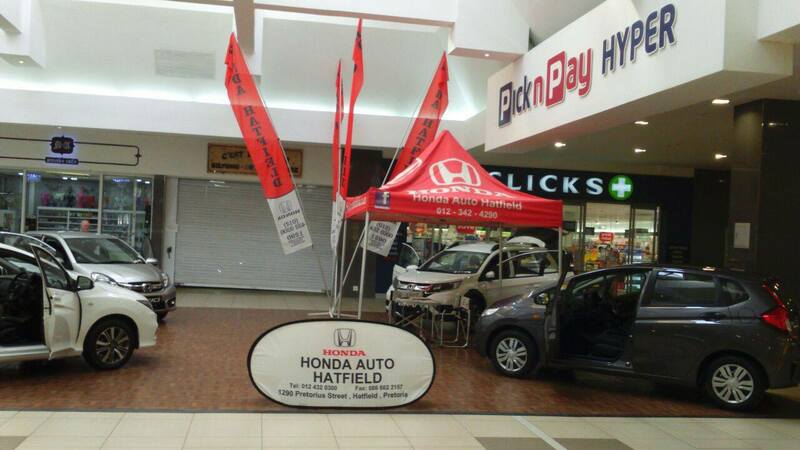 We are a leading Honda dealer with a wide selection of new and used Honda cars on our showroom floor. 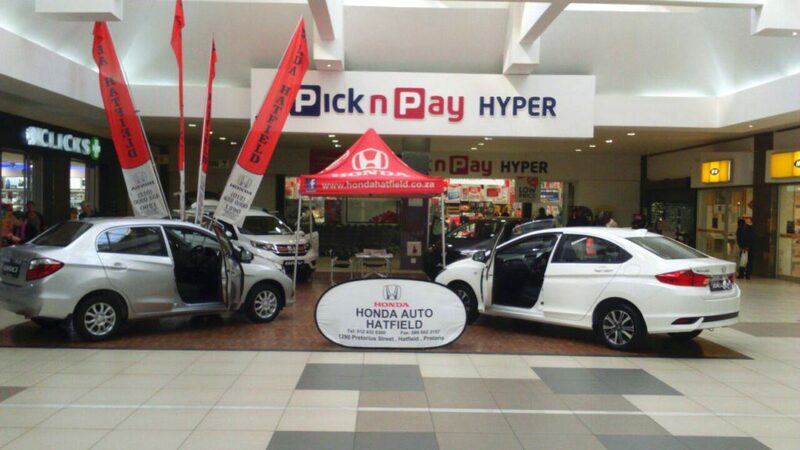 Whether you are interested in buying your next Honda car, booking a service or simply want to find out more about our Honda product range, our friendly and knowledgeable staff at CMH Honda Hatfield are on hand and always happy to assist. Our dealership is committed to catering to all your vehicle needs, making sure that both you and your vehicle are taken care of.